When in flower, this deciduous shrub is just gorgeous. 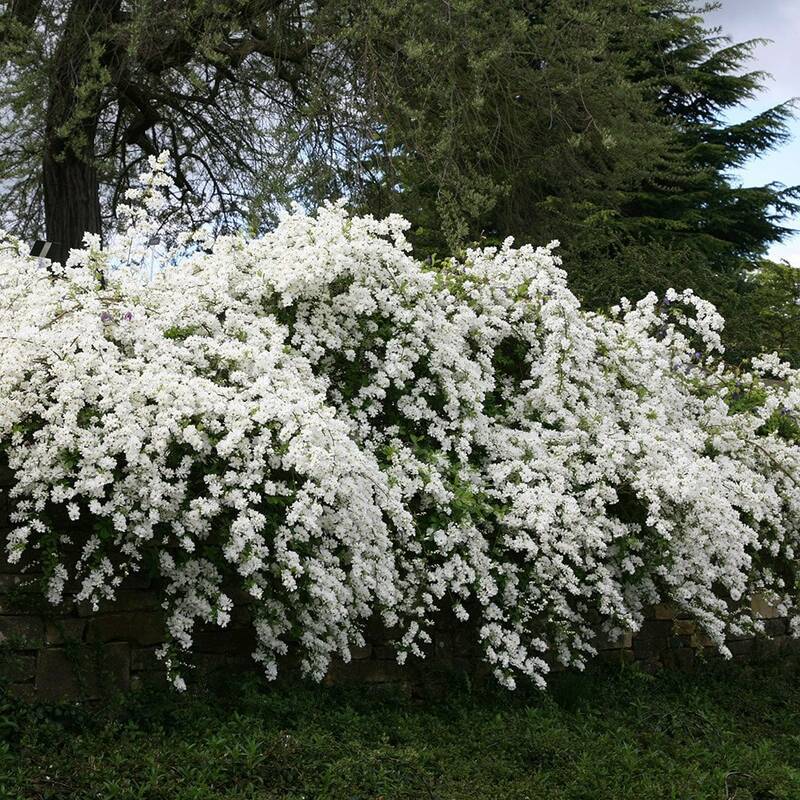 For about six weeks in April and May, its arching branches are wreathed in open white flowers that almost smother the soft, green foliage. In autumn the leaves turn delicate shades of yellow and orange. This shrub has been given the Award of Garden Merit by the Royal Horticultural Society and although it will take some shade, it flourishes best in a sunny, open position. It can also be trained as a wall shrub. Garden care: Apply a slow-release balanced fertiliser and a mulch of well-rotted garden compost around the base of the plant in early spring. Yet to produce any flowers, looking healthy with plenty of springtime buds now. I planted an exochorda from Crocus 9 years ago, it wasn't huge at first, hut each year it grows despite me not pruning or feeding it. It's a wonderful sight each spring. Planted 2 last year so waiting for it to flower this spring. I had been envious of a neighbours plant, and that is why I ordered this one. Unfortunately it has been a bit of a hit and miss affair. The hit is the lovely service from Crocus, the miss is that the plant did not live up to expectations i.e. it has grown very little and last summer I got no overwhelming perfume from it, as I do when I pass my neighbours plant. This might be because I have a clay garden though I do try to change the structure by using ground breaker, grit and so on, or it might be that I have not fed it properly. Either way, I am disappointed, but will keep the plant as I can never throw plants away. I'll follow the descriptions in future. I saw "The Bride" many years ago in Bodnant and have wanted one ever since. As my daughter had already ordered Niagara for a birthday present for me I decided to treat myself and ordered The Bride. Having received such a lovely specimen from daughter I was really disappointed when my treat arrived. Only one very short and sparse shoot was flowering, it may increase I know but in comparison to Niagara, it was a real mistake. Hello there As a general rule fully hardy plants that are grown in containers can be planted at any time of year as long as the soil isn't frozen solid, or waterlogged or freezing outside. The best times are in the autumn when the soil is still warm enough to encourage root growth but the plant isn't in active growth, or the spring before the temperatures start to rise. This plant is fully hardy, but as we are having really cold snap at the moment and the ground is frozen solid, you cannot plant now. However you can still keep the plant outside in a sheltered spot, where it won't be blown over until the weather improves. 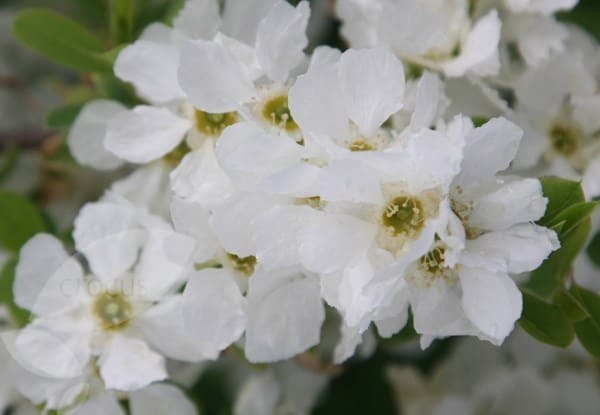 I have just bough an exochordia and it is in a pot and flowering (Mid April). Is it ok to replant now, whilst flowering? We have moved and are establishing a new garden and loved it before In our old garden. Thank you. Hello, Ideally you should wait until it has stopped flowering, however if you are careful not to disturb the roots too much, and make sure it is kept really well watered, then it should be fine. If you prune do it immediately after flowering. Flowering shoots grow during summer for the following year, so pruning at any other time will result in few or no flowers. My bush is probably 10 years old and has flowered just beautifully as it did again this spring. Now within the past week the bush has turned completely brown. Do you have any suggestions as to what may have happened and if it is salvageable? My Exochorda is now in its fourth season and has never flowered. It spent 2 seasons in a south westerly facing border and has spent the last 2 seasons in a large pot on a more shady pergola. It has been fed and watered - should I just give up on it? Hello, I would be reluctant to give up on it. I would plant it out into a sunny border again and feed it with Sulphate of Potash this year. That should give it the push it needs to produce flowers next year. My Exochordas looks yellow I have two Exochorda plants in my garden (they are both still in pots), but both plants have quite yellow leaves, not bright green. Should I be worried? The yellowish leaves may just be due to the fact that the plants are hungry and need a good feed. Use a well balanced liquid fertiliser and feed once a week until the leaves are darker green. They will probably also benefit from being moved to a larger pot. 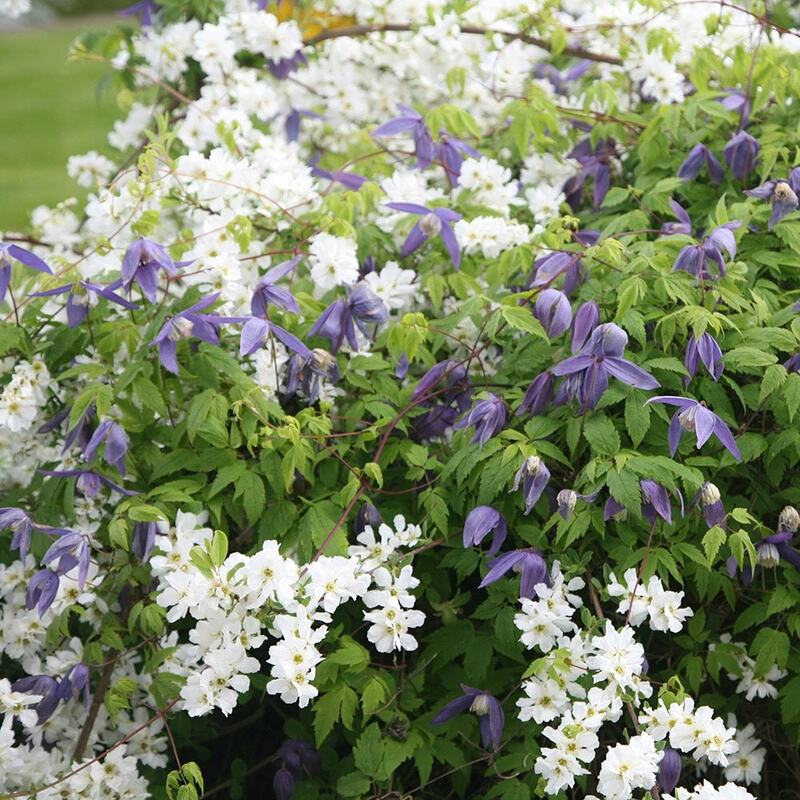 Many shrubs, trees and climbers are showing signs of growth, so it is an ideal time to check them over for winter damage. If you feel they need a little care and attention, here are a few notes to use as a pruning guide. during April.